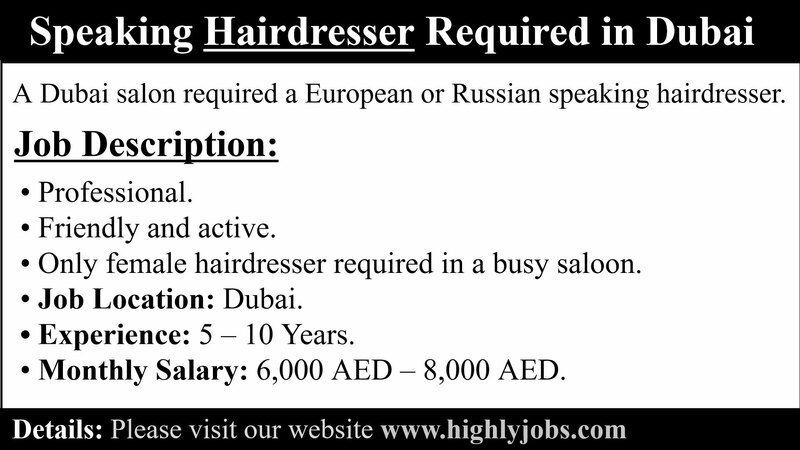 · Only female hairdresser required in a busy saloon. · Experience: 5 – 10 Years. · Monthly Salary: 6,000 AED – 8,000 AED. Please send your CV or contact us by WhatsApp.